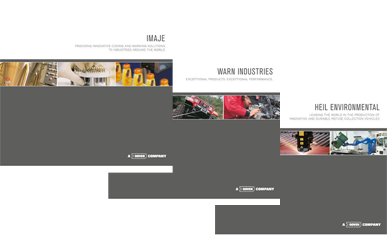 For Dover Corporation—a Fortune 500 manufacturer of industrial products comprising more than 50 independent operating companies worldwide—we developed and executed a tailored marketing and communications plan to leverage the company's 50th anniversary. Using a combination of print, Internet, and video media, we enabled Dover to convey its rich history and unique philosophy to customers, investors, acquisition candidates, and more than 27,000 employees around the world. The centerpiece of the program is a contemporary history book with a sophisticated design developed to thematically communicate the culture, leadership, innovations, and decentralized structure that have defined the company since its founding in 1955. 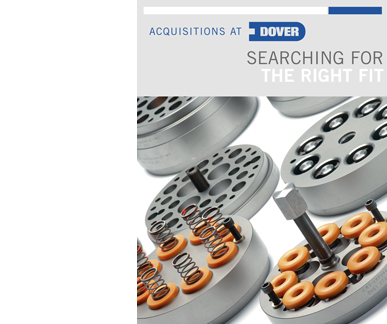 Upon researching the history of Dover and its operating companies, our editorial team conducted dozens of interviews to develop a personal, anecdotal history of the company. 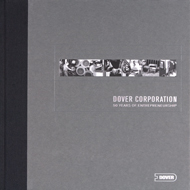 With 150 new and archival images reflecting the breadth of Dover's business, this 160-page coffee-table book provides Dover with a powerful and lasting presentation of its business, and valuable content to excerpt and use in every facet of its marketing and communications. 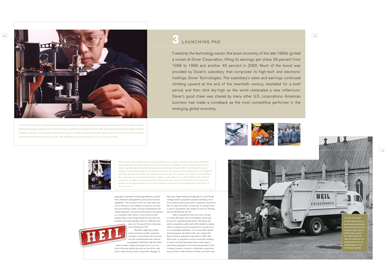 While many of Dover's 50 separate operating companies are featured throughout the coffee-table book, each has its own culture, history, innovations, and brand equity to share. Fenwick published new 16-page history booklets for each operating company to insert into a custom manufactured pouch on the inside of the coffee-table book. Our editorial team interviewed officers from each of the companies to craft 2,500-word historical narratives with a future-forward perspective. Separate from the book, the companion histories serve a secondary purpose as a stand-alone sales and marketing tool. 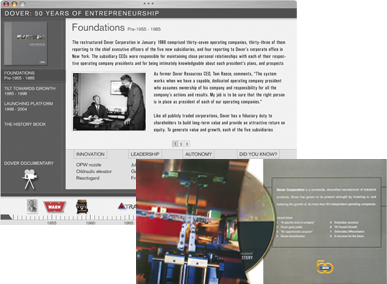 To further maximize the content we created for Dover, and to tie all the parts of the program together, our team developed a Flash-based, anniversary Web portal, featuring excerpts from the history book, the film in its entirety, an interactive time line, and links to all of Dover's business units. Building on the manuscript and interviews used to create the history book, Fenwick developed a 20-minute documentary film screened at Dover's 50th anniversary celebration and made available for distribution via DVD. Using our store of knowledge about Dover as well as the library of imagery developed during the anniversary publishing program, we continue to develop and produce collateral material for Dover, including print, video, and electronic material used by Dover's corporate development team to introduce Dover to prospective acquisitions.